The brand new 2018 Jeep Wrangler now comes standard with welded on body-colored sport bars with grab handles attached. If you are looking for an open-air 4x4 SUV, you have found the right vehicle. The Wrangler comes with an all-new Sky One-Touch powertop. This system allows you to simply push a button and have the entire roof removed. Wind noise has been highly improved in 2018 by adding two extra bows to the soft top. A special track has been put in to make removing the rear passenger window a breeze. Additional features have been added to simplify things like stamping the Torx bit tool size onto the hinges of the new high-strength aluminum doors so that you won't have to guess ever again. What models are available on the all new Wrangler? The 2018 Wrangler has the option of a two-door model or a four-door. The two-door offers the trims Sport, Sport S, and Rubicon, while the four-door offers Sport, Sport S, Sahara, and Rubicon. Standard with all models is a push-button starter, a weather-proof surround, a 7-inch LED display, and buttons integrated into the steering wheel for easy access to voice, audio, and speed. A Trail Rail cargo management system has been made available for 2018. This system allows for easy access to the cargo area and provides multiple extra features to provide extra security and organization. 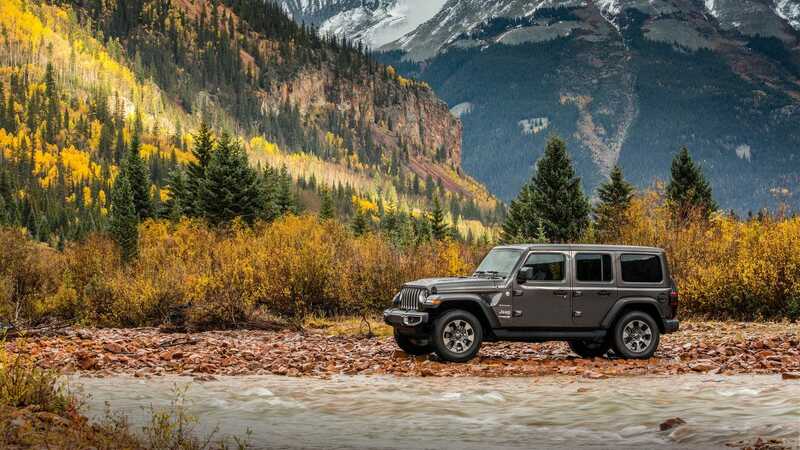 Every inch of the brand new Wrangler has been tested for the most blistering colds and heats, as well as any terrain, weather, or obstacle you may come across. With over 3.9 million miles of testing to ensure the utmost in durability, reliability, and quality, the Wrangler is sure to win your heart. The Jeep Wrangler comes with the 3.6-liter Pentastar V6. This engine is perfect for this Wrangler with its 285 horsepower, 260 lb-ft of torque, and its standard six-speed manual transmission. This engine provides a smooth, yet powerful delivery to make both staying on the highway and going off the road an enjoyable experience for all. Especially with its industry-leading ground clearance and approach. It can even stand up to 30 inches of water fording. A five-speed automatic transmission is available as well with no difference in the EPA fuel economy ratings between the two transmissions. In 2018 the Wrangler offers over 75 advances safety and security features. These range from a Parkview rear backup camera with dynamic gridlines to electronic stability control with electronic roll mitigation. 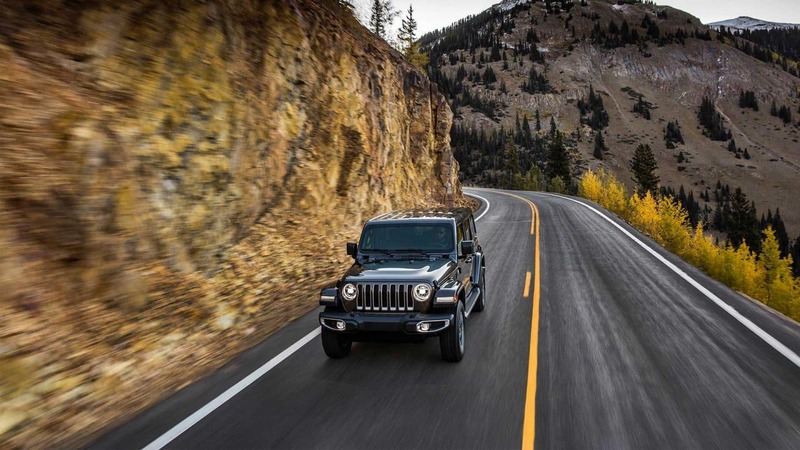 The Wrangler has available blind-spot monitoring and rear cross path detection, as well as the standard four airbags, an engine immobilizer, a Uconnect with voice control to keep hands on the wheel, and traction control. Are you looking for a top-notch off-roading vehicle? Look no further than the all-new Wrangler of 2018! Come see our lineup today!